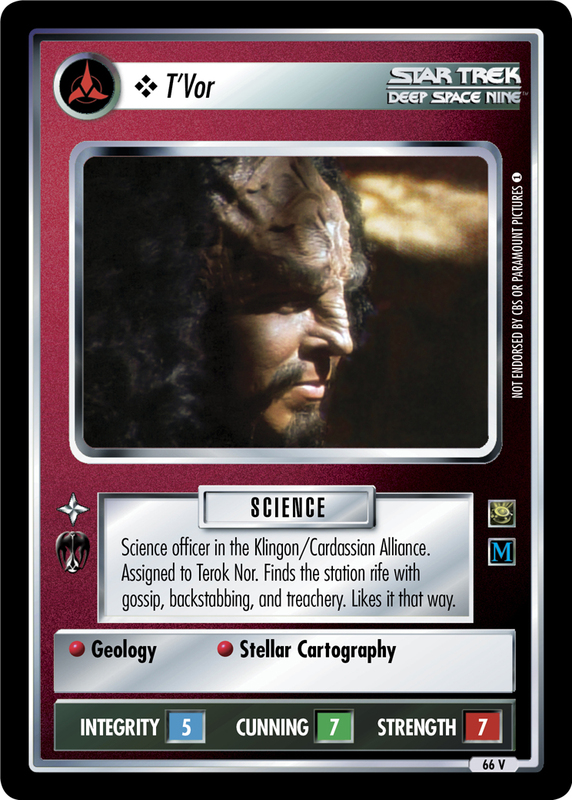 Science officer in the Klingon/Cardassian Alliance. Assigned to Terok Nor. Finds the station rife with gossip, backstabbing, and treachery. Likes it that way.